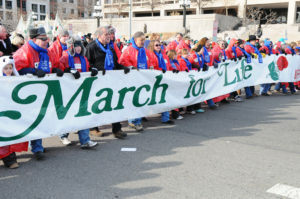 One of the saddest things about the establishment media’s coverage last week of the Covington Catholic students at the national March for Life is the evidence it gives that many in the media refuse even to recognize the idealism in the young marchers. This observation has nothing to do with which side you take on abortion. It’s about the idealism of youth. These are students just entering adulthood, traveling a long way, usually sleeping on borrowed gymnasium floors, expressing a love for human life. Even if many in the media disagree with the students and think they are missing a bigger picture on the issue of abortion, the media’s obvious hostility toward them is unprofessional and indecent. I was asked earlier this year what I think is the largest problem our world is facing. My response was that we have lost sight of the dignity of the human person. Pride so often gets in the way of respect for others and I am certainly guilty of that. Respect for the life of another is not something that should have to be fought for or earned, but the most simple of gifts that you can offer another. …. This is a voice, a warm and generous voice, to which we should be listening. And when we in the jaded commentariat fulminate about whatever is the latest controversy, trying to force its interpretation into a predetermined narrative, we do a grave disservice to voices like this, whose mission isn’t to denounce but to uplift, not to harm but rather to heal.